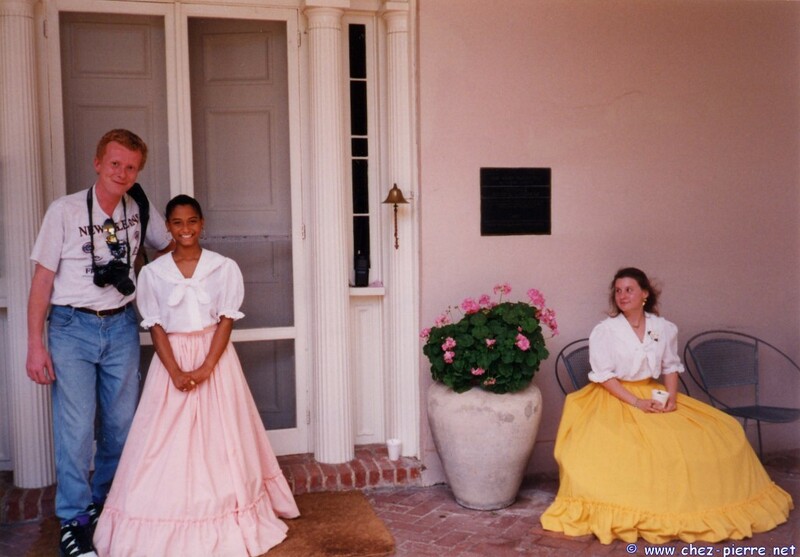 and... "Gone with the wind", right ? 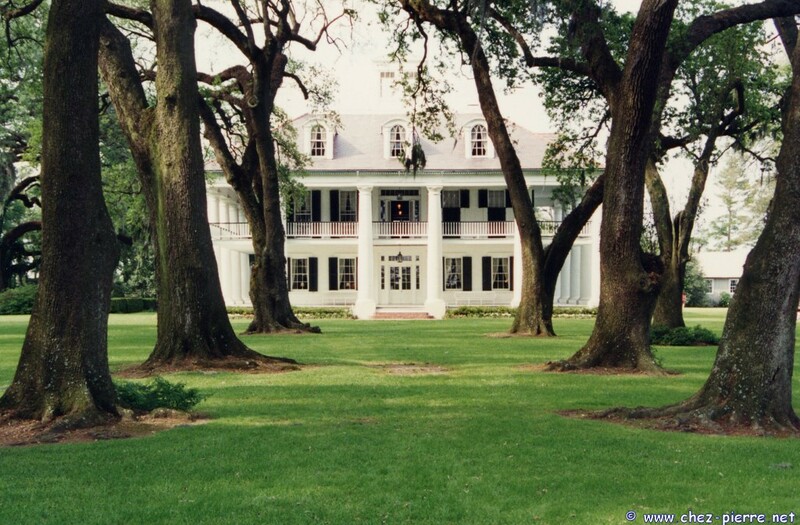 Today's Louisiana still keeps many plantations (houses), of which many have been restored. 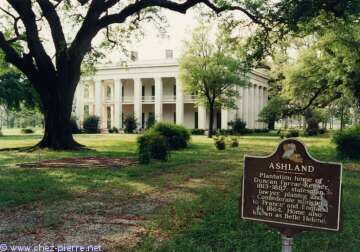 It is indeed with this alley that everything began here around 1700. 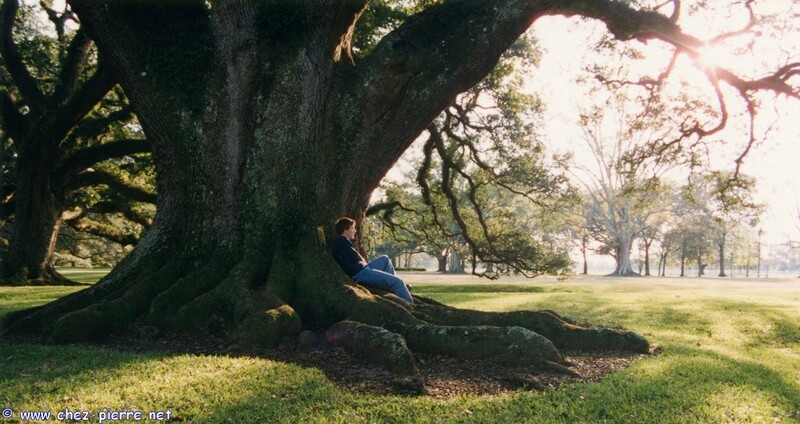 A French settler, probably attracted by the coming foundation of New Orleans, acquires this land and plants there a double row of 28 oak trees, thus forming a 400 meters long alley leading to the Mississippi. However the trees continued to grow and embellish this land, which in 1834 was offered by Jacques Roman, a rich planter, to his new wife. 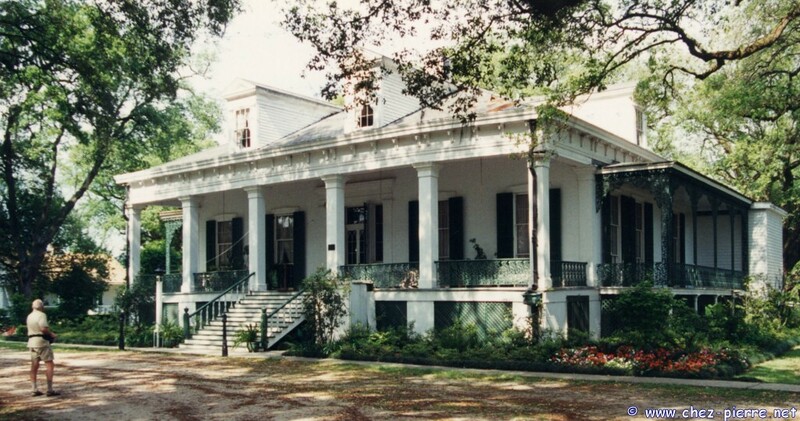 The house was finished around 1841, supported by 28 columns, you guess why... 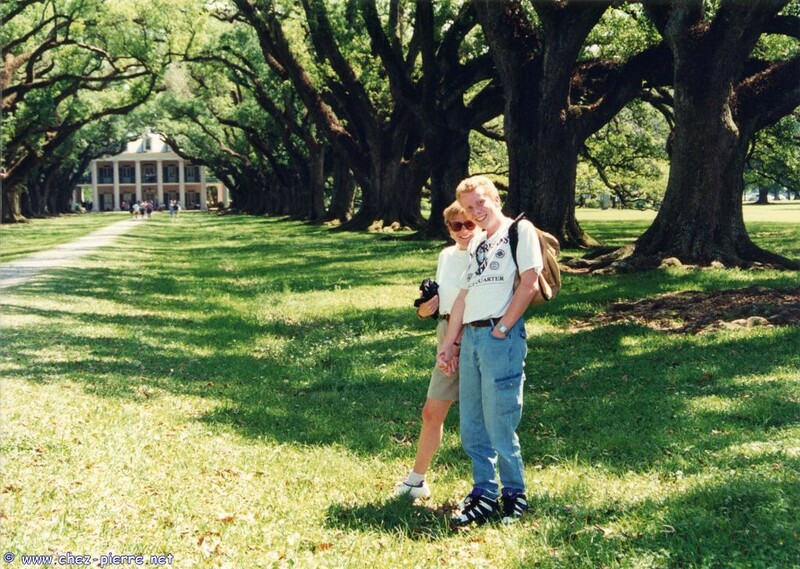 It was named "Bon Séjour" (Happy Stay), but the steamboat captains, seeing this gorgeous oak trees alley from the Mississippi, gave it the name that stayed : "Oak Alley". A Portuguese man bought it and grew sugar cane. 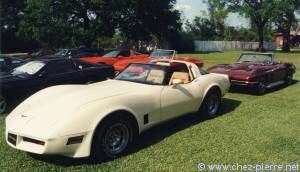 His children not being interested, he had to sell it 20 years later, and went to Jefferson Hardin who kept it only 7 years. 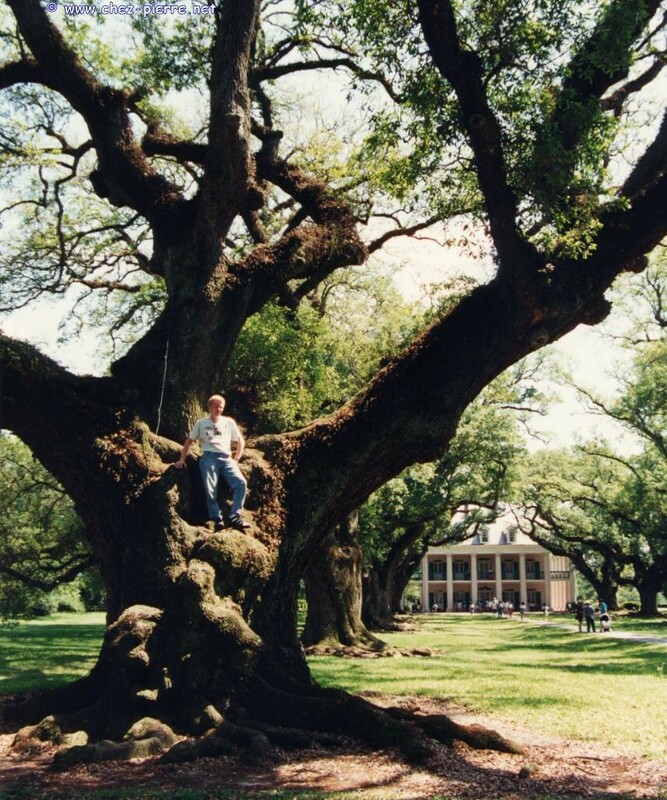 But in 7 years, he did a lot for Oak Alley, particularly saving the oak trees from being cut down by the authorities. 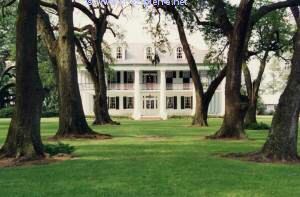 Finally, in 1924, Mr. and Mrs. Stewart bought the plantation and began to restore it completely. Short before her death, having survived her husband more than 25 years, Josephine Stewart created a non-profit organization to maintain the house and open it to visitors. Thank you, Madam, from the bottom of my heart. You could stay in one of the bungalows, it's a bed & breakfast ! 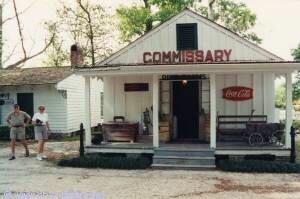 A little expensive, but each bungalow is different, very well equipped, and, well... What an experience ! It's at Tezcuco that we met the Corvette Club on a journey ! And their owners were among the nicest persons we met. 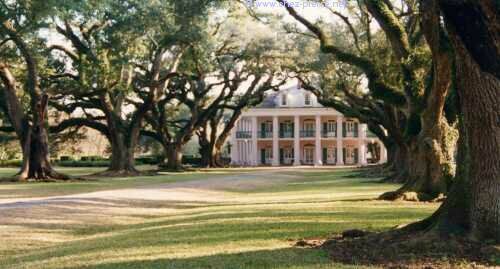 even though this plantation has been bought by an oil company who does not seem to take great care of it... Except for the fences ! But let's not forget that all these houses were the slaves owners'... The slaves quarters in most plantations have disappeared, another sign of the difference of quality between them ! but I wouldn't spit on it anyway ! Better than a country house, hmm ? My favorite ! 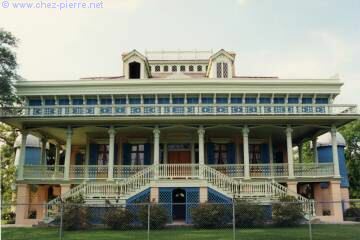 It's a steamboat captain who had this unique one built, half steamboat and half-house, with "Tex-Mex" colors. On the down side : today it is bordered with a road, a parking lot and a refinery !